Welcome to the first Summer ION Prayer Focus! We wanted to let your summer months be less crowded, but hope you will continue to pray thru these three months. So much is going on in the IONOralitySphere as Samuel Chiang would say! Much you may not be able to see, much we cannot even share here. But be assured God is at work and for many around the globe ORALITY is coming into focus for the first time or maybe even coming into focus more fully at last! Code: 818908# The call is for one hour. The ION Weekly Prayer Call has a NEW number! Pray for the program team and the North America Region Team as they work behind the scenes to finalize plans and content. Pray for those who God is calling to REGISTER and ATTEND. Bind the enemy from any work and Ask God, the WayMaker to make a clear way for them to come. Pray for the larger family of ION to pray alongside and support this new region. For many of them this is a season of change. The North America Region (Canada, USA, & Latin America) is a large body of geography and as a network that can be hard to stay connected. Ask God for more ways for them to begin to function as a Region and be able to communicate as a Region. Pray for the different Gatekeepers (Door-openers) who need to be in place to find their places. Pray for Jerry Wiles, who has taken the lead for the NAR. Pray for those who are active in this region to reach out to him. Pray for the Program and Content Team for the conference as they reach out to speakers and workshop facilitators. Praise God for the connection to Focus on the Family. Pray for us as the ION Network to reach out to our Colorado Springs friends and invite them and they be able to attend to find our more about Orality and how they might fit in and find their place in the network. Praying as well for the ION Africa Regional Conference, July 16-21, 2017 in Jos, Nigeria. Thank you Father for the strong leadership team of ION Africa under the leadership of Dr. Victor Madziakapita and the ION Africa Leadership Team. Each of their Gateway Leaders in place at this time. We pray a blessing on this upcoming gathering. Praying alongside ION SE Asia as the details for the upcoming ION South East Asia Regional Convergence: November 28 – 30 in Manila City, Philippines are beginning to be released. This group also has solid leadership and nationals in each of the Gateways leading out. Praise God. Psalm 24:7-10. SECOND, Let’s remember the Orality Network around the globe. Several areas are very active and planning events to bring the ION family together. There are a couple of areas that seem to be coming out that we have not had much “public” activity seen in the past. Please pray for these persecuted church areas where Orality is an everyday reality. These are areas of the world where oral peoples are the norm. No other way of communication is really going to have lasting effect. Pray for the ION Africa Regional Conference, July 16-21, 2017 in Jos, Nigeria. Thank you Father for the strong leadership team of ION Africa under the leadership of Dr. Victor Madziakapita and the ION Africa Leadership Team where this gathering is being planned for in West Africa. The areas of East Africa, West Africa and Central & South ION Regions will gather together. This area of the world is very unstable. Pray for them as they plan. Pray for grace as they work out the details to bring together the ION friends and family in these regions. THIRD, We ask you to pray for those behind the scenes working as the International Orality Network at a global level. Those working in core areas of support. Those working in specific title areas representing ION to global partners. Those who serve as Senior Associates representing specific areas of the network. Those who serve as Ambassadors at Large in the global and regional areas helping to put in place a network of those who are working in Orality. There are so many who will remain nameless and faceless, yet whose face and name is out there to those they work alongside of! If you look at the history of the Orality Network, you can see how God has and continues to lead the leadership to have a very “hands off” approach. The leadership is driven by God and is given favor in so many areas. Their calling to ION is apparent to those who know them. Yet for the most part, many in the network are unaware of the work the individuals do to make the network work effectively. PRAY for those nameless and faceless champions who are working tirelessly behind the scenes. PRAY for their families. PRAY for God to guard, guide and protect them and their family. PRAY for the Global Orality Research Project that is documenting the “orality” of peoples all across the globe. No current research has been done that will significantly document the fact of the reality of Oral Peoples across the globe. This project will begin to document the reality of Orality and Oral peoples in a way that will call for more research and will begin to cause us to look even harder at how to do missions with Orality and Oral peoples as a focus into the future. Ask and it shall be given. . . Ask for the Full Bible for the Every and All. That every people group might hear the name of Jesus and receive the Gospel in a way they can really understand. Would you kindly pray and share with your key prayer leaders this Prayer Request on behalf of The Lausanne Mission Leaders Gathering. 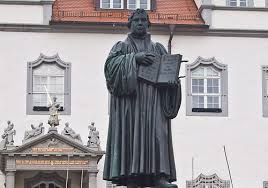 The number of those who will gather has risen to 90+ CEO/Executive Directors who will gather at Wittenberg, Germany. They are acknowledging the need for extraordinary prayer and have asked us to partner in prayer. Would you join to pray for their gathering that will happen in June 2017*, in just a few weeks. Operation World, the ministry behind the definitive global prayer handbook, is pleased to announce the worldwide release of a new, free mobile app this Pentecost Sunday. Millions of Christians have used Operation World (OW) resources since the 1960s to pray for the nations. The OW team hopes an even greater number will now gain access to the content and join the global prayer movement. The app allows users to set reminders to pray for the “country of the day,” easily retrieve OW research statistics, explore in-depth prayer requests and praise reports given for each country of the world, see how many others are praying along, and favourite countries for future reference. The OW app was developed in partnership with Global Mapping International (GMI) and Missional Digerati. Operation World is widely regarded as the definitive volume of prayer information about the world and is the recipient of the ECPA Gold Medallion Award for Excellence in Evangelical Christian Literature. Operation World is published by InterVarsity Press. Missional Digerati is a Christian non-profit mobile and web application development team dedicated to using technology to deliver the Gospel to every nation. PRAISE GOD: Over 200,000 downloads! Thy Kingdom Come Prayer Initiative over the 10 days leading up to Pentecost. God is allowing for an all time global wave of prayer to happen. Father, we ask you to awaken the Church world wide to begin to pray for the Harvest! *Ramadan is one of the months of the Muslim calendar, landing on 27 May – 25 June this year. During this month Muslims around the world will intentionally seek Allah through prayer and fasting – one of Islam’s five pillars – the most important requirements of their faith. Abstaining from earthly pleasures, they seek the cleansing of their souls from sin. Click here to see the prayer schedule and learn more about the Prayercast Ramadan Challenge. You can also like us on Facebook, and/or follow us on Twitter for daily prompts and reminders. Please pray for Mark Snowden as he leads a one hour seminar for a workshop group of 30 who have signed up. Please pray was well for Byron Spradlin who will lead up the Orality in Arts in Evangelism, a part of the Creative Arts Track. He will be presenting to the entire large group on Wednesday, June 28th at 11 am Central Time. Sponsored by the Billy Graham Center for Evangelism at Wheaton College in partnership with Mission America Coalition, Amplify is a 3-day event to reimagine an evangelism for our day that is winsome, soulful, creatively, and deeply grounded in scripture â€“ with a mix of plenary speakers, case studies, research, breakout sessions, tracks, and networking times intended to meet the needs of everyone who attends. The last recorded statement of Jesus before His ascension was, “But you will receive power when the Holy Spirit has come on you, and you will be My witnesses in Jerusalem, in all Judea and Samaria, and to the ends of the earth.” (Acts 1:8). Friends, we cannot shut our ears to His commands and our eyes to a field ripe with harvest. We mustn’t be the workers who are few (Luke 10:2). Our call is to go and declare His goodness (Ps. 96:3). If we are honest and look at the fruit of many churches and Christ-followers today, we might say that many hold evangelism to be a low priority in their daily lives. Regardless of the reason this is so, we must admit that the Church in North America is at a critical crossroads of witness. That is why I am inviting you to join me, Luis Palau, D.A. Horton, Nikki Toyama-Szeto, Trip Lee, Will Graham, Michael Frost, Dave Ferguson, Andrew Palau, Jerry Root, and many others on June 27-29, 2017, for Amplify 2017, a national conference on evangelism. We are coming together to reimagine what evangelism looks like in our mission to be followers of Jesus. We will creatively work towards a united gospel witness that can impact our communities, cities, and nation for Christ. This entry was posted in Fellowship of Prayer Strategists, Global Prayer, Join us in praying for everyone to be a part of being used for the Great Commission, Learning about unity in diversity, Mobilizing Prayer, Persecuted Church, Prayer for Oral & Oral Bible-less, Scripture in every heart language, Together Prayer and Missions, UUPG/Bible-less Oral Peoples Prayer Initiatives and tagged #FPS, #makingdisciples, @Bible.is, @CRU, @Ethne, @GRN, @IPC, @joshuaproject, @PrayerCast, @PTAP, @YouVersion, Bible-less, God's Story Project, orality, Pentecost, Persecuted, Prayer, Prayer Initiative, Prayer Strategy, Unreached Unengaged People Groups, UUPG. Bookmark the permalink.